The entrance to Rockford Park in Wilmington is at 19th Street & Tower Road. 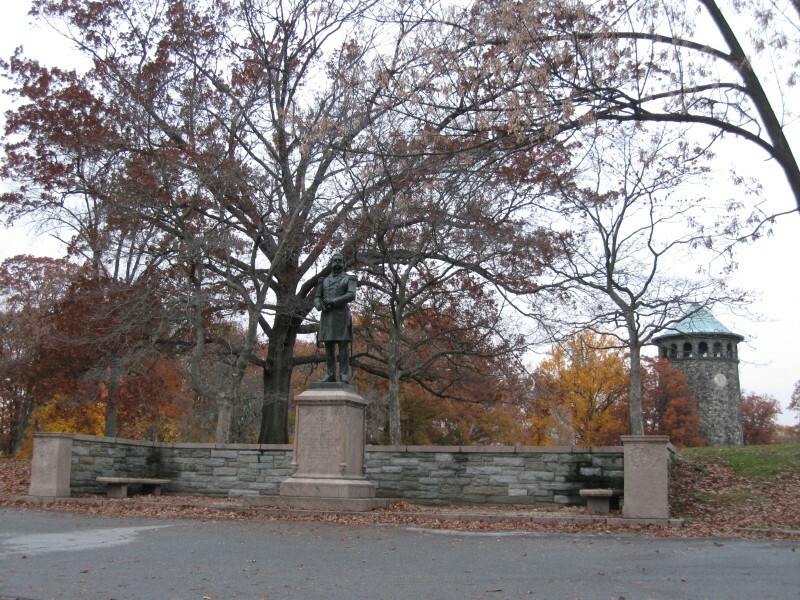 At the entrance is the statue of Admiral Samuel Francis DuPont. The statue was dedicated in 1884, and was originally in DuPont Circle in Washington, DC, which gave the circle and neighborhood its name. The statue was moved to Wilmington in 1920. In the background is Rockford Tower, built in 1902 to serve the water needs for the city. The tower is 115 feet tall.